There are certain things that we can now deduce from the subcontinent – that most of the writers in the anthology would prefer to be somewhere else. That South Asia is unfailingly a place of domestic violence, poverty and oppression, best looked at during brief visits from outside the country and then left behind. This may seem to be a harsh assessment but in story after story, this is what emerges. 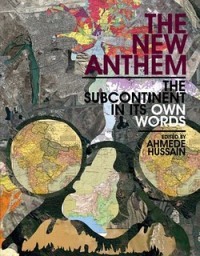 Ahmede Hussain’s anthology brings together what he describes as ‘strong new voices in South Asian fiction’ that hold the mirror up to the countries they inhabit and put down the reflections in their own words. The 22 short stories are by names we have heard of, Raj Kamal Jha, Kamila Shamsie, Mahmud Rahman, Padma Viswanathan, Khademul Islam, Mohsin Hamid, Monideepa Sahu and Amit Chaudhuri and some of the chosen pieces come from noted, award winning novels. Though the title flags South Asia, there is a story set in Malaysia, there are protagonists and voices which are those of non Asians looking at an unfamiliar, frighteningly violent world, like Carl Bloom’s story of the American academic paralysed by an unformed horror glimpsed in a Dhaka back alley. Qaisra Shahraz’s The Malay Host, is actually about how people all over South East Asia kowtow to westerners in the hope that they can make some money from them, so in that sense the story may be called South Asian since it embraces a shared attitude. And then there’s the Mulberry Courtesan about a half-Afghan half-Russian woman tracing the steps of an Afghan woman kidnapped by an Indian soldier in 1857. In between there’s a story like Cyclone which adds a breath of fresh air because it seems to be about the reality of life in Bangladesh. Traces of the printer’s devil in words like ‘cordhuroy’ for ‘corduroy’ and ‘librarie’ for the French ‘libraire’ sit oddly in the book and it is disappointing to find them there. Before the anthology was launched, The Daily Star of Bangladesh previewed it by writing, “The Indian subcontinent has had its fair share of glory and tragedy. The glory comes through a recapitulation of the circumstances which have historically gone into the making of its composite character. The tragedy has been political, in that the subcontinent was destined to be broken asunder.’ Though the anthology brings together writers from the subcontinent, it has very little to do with the fact of Partition but more about what the dominant voices writing South Asian literature today feel and think. Even Tabish Khair’s story about Saadat Husan Manto does not really bring the Partition to mind, though yes, it is a story of bitterness at lives broken apart. Perhaps it needed a longer introduction to explain what the anthology was trying to do. Hussain briefly talks about a ‘strand of post colonial literature’ becoming an ‘independent genre’ . In an interview Hussain said that the title came from the fact that the anthology comprises fresh new voices and what they have to offer to the reader is new in the context of the history of writing. The attempt is a laudable one – bringing South Asian fiction together between a single set of covers , however what it does not do is include enough South Asian voices from the new generation of writers who do not belong to the far flung diaspora. It seems that this form, on the whole, only exists if looked at from a western context and when judged by western sensibilities.